Last April, we announced the news that Fordham PhD student Pedro Cameselle had won a Fulbright grant to fund his doctoral research in Uruguay. Over the course of his research, Pedro has agreed to send us a series of postcards illustrating his experiences. This month, he writes to us about the building he can see from the Fulbright office in Montevideo: the Palacio Salvo. 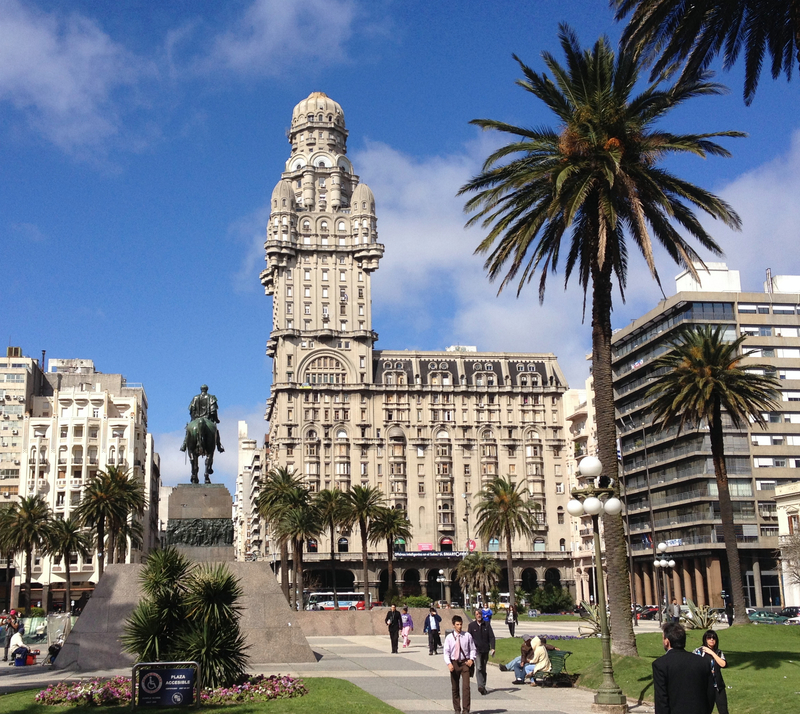 Sitting across the Fulbright office in Montevideo’s Plaza Independencia (Independence Square), one can see the Palacio Salvo, perhaps Uruguay’s most prominent building. 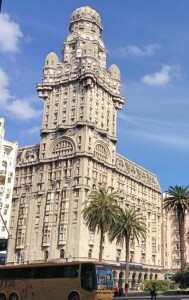 This beautiful structure, whose construction began in 1925 and was finished in 1928, is emblematic of a period of unprecedented affluence and progress in Uruguay. 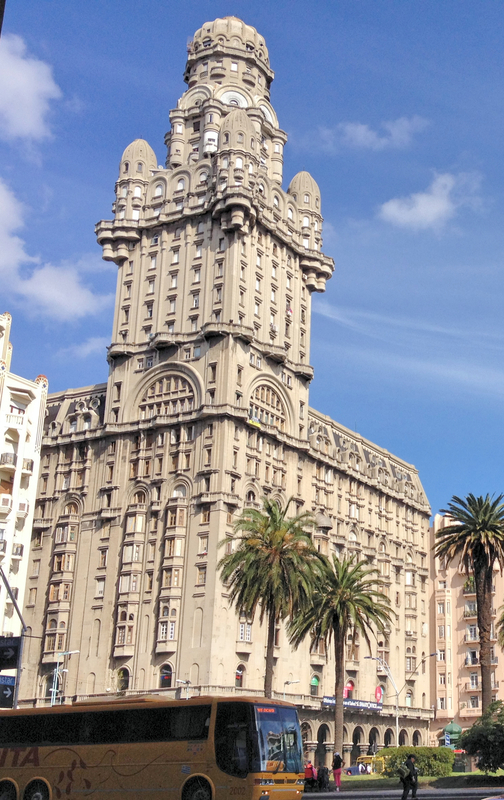 Although the building is only about 340 feet tall, it was the tallest in South America for a few years. By 1930, like most other countries, Uruguay entered a period of economic decline that brought about questionable political decisions, including a dictatorship in late March of 1933. Here is where my Fulbright research begins, as I examine Uruguay’s relationship with the United States during the era of Franklin D. Roosevelt (1933-1945). Buildings like the Salvo offer an interesting contrast of old and new, which is an increasingly common site in major Latin American cities. 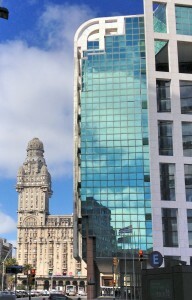 The Salvo stands next to the modern glass windowed Executive Tower, where the Uruguayan President conducts his work. 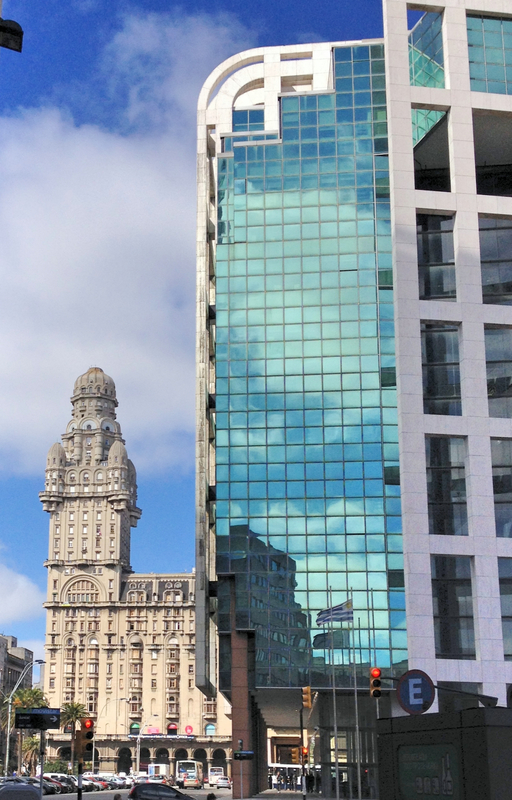 Today, there are many new buildings under construction in Montevideo, evidence of the ten years of steady growth in the economy. This Sunday October 26, Uruguayans will vote in the country’s presidential elections and in a sense, decide whether or not the current government has sufficiently converted gains in the economy into progress. All signs point to a second round or runoff election in late November.